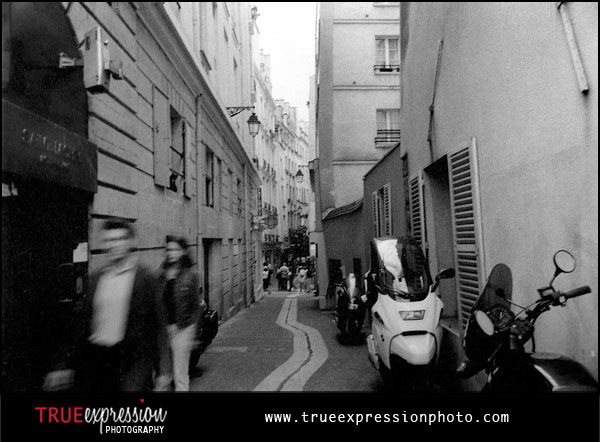 This week's Flashback Photo is a black and white film photo taken in Paris during the summer of 2001. Like the first photo I shared in this series, this is another one of my earlier photos shot with black and white film on an SLR camera. What I love about this photo are the interesting lines in the street and the motion of the people walking on the left side of the frame. Check back every Wednesday afternoon (or subscribe to the blog by email) to see more of my old photography work! Rebecca & Scott: Sneak Peek! The Newsletter Will Be Emailed on Thursday!